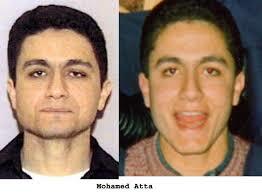 Eight years after 9/11, we still almost know Mohamed Atta. We can almost see him, a gaunt and spectral figure making his way through Hamburg’s red-light district en route to his radical storefront Al-Quds Mosque. We still vividly recall his ominous visa photograph. But the man in that photograph remains a cipher, his eyes vacant. How did those eyes see the world? We’ll never know for sure, but part of the answer may lie in a document he left behind, one that has strangely gone largely unexamined: his master’s thesis in urban planning. While the bulk of the 9/11 hijackers were Saudi Arabian street toughs tapped for their brawn, Atta was chosen for his brains. Trained as an architect in his native Egypt, he went on to pursue a master’s degree in city planning at the Hamburg University of Technology, in Germany….. The subject of the thesis is a section of Aleppo, Syria’s second city. Atta describes decades of meddling by Western urban planners, who rammed highways through the neighborhood’s historic urban fabric and replaced many of its once ubiquitous courtyard houses with modernist high-rises. Atta calls for rebuilding the area along traditional lines, all tiny shops and odd-angled cul-de-sacs. The highways and high-rises are to be removed—in the meticulous color-coded maps, they are all slated for demolition. Traditional courtyard homes and market stalls are to be rebuilt. For Atta, the rebuilding of Aleppo’s traditional cityscape was part of a larger project to restore the Islamic culture of the neighborhood, a culture he sees as threatened by the West. “The traditional structures of the society in all areas should be re-erected,” Atta writes in the thesis, using architectural metaphors to describe his reactionary cultural project. In Atta’s Aleppo, women wouldn’t leave the house, and policies would be carefully crafted so as not to “engender emancipatory thoughts of any kind,” which he sees as “out of place in Islamic society.” …..
From this quote, it would seem that President Assad believes that he has already pardoned the leading Muslim Brotherhood members of the 1980s who sought pardons and has solved “Muslim Brotherhood terrorism.” The premise of the following IWPR article, it thus a bit hard believe. Rather, I would agree with the Kurdish activist quoted at the end of the article who is doubtful that the Syrian government is nearing an acceptance of the Muslim Brotherhood as a Political organization. A Kurdish activist, who also spoke on condition of anonymity, said that the withdrawal of the MB from the main opposition coalition abroad was probably the result of a “deal” between authorities and the Islamist group. He said he believed the Syrian regime was ready to give the MB some legitimacy in return for the Islamists taking a stand against the democratic secular opposition in the country. The Arab news website Al-Bawaba in an August 29 article quoted unnamed Syrian and Arab sources as saying that a legal committee formed by the Syrian Baath party command had just finished drafting a proposal to revoke the law in question. The website, which describes itself as a portal for Middle East news and information and has offices in a number of Arab countries, said that this was a preparatory step for the return of some of the MB cadres to Syria. The Syrian foreign minister, Walid Muallem, at a news conference the next morning denied any knowledge of what was reported. Although the regime has not carried out capital punishment against any alleged member of the MB, it continues to arrest any individuals or groups suspected of political Islamist activity. A former Kurdish dissident did not trust the regime to change its colors and said it was not ready for dialogue with political groups that oppose or criticize it. The system in Syria is not open to the existence of political groups other than the one in power, he said. Published under partnership agreement with IWPR. Normal copyrights applied. Visit the IWPR website at:The Institute for War & Peace Reporting. IWPR11/09/2009 . © Copyright KurdishMedia.com 1998 – 2008. All rights reserved. Syria’s location on the Mediterranean and its relatively unexplored geology make it a potentially profitable frontier for smaller international companies. Mtanios Habib, a former Syrian oil minister, says the country holds significant potential, including oil-sands reserves on the Jordanian border. He says 40% of Syria’s land hasn’t been explored. The country’s near-pariah status in recent years kept out most companies. Now, improved relations with Washington and other Western capitals, along with recent oil discoveries, are fueling hope that foreign companies might help to revive the industry. In August, Gulfsands Petroleum PLC of London began production of 16,000 barrels a day at one of its recent discoveries, at the Khurbet East field, in northeast Syria. The company says it expects to ramp up production to 35,000 barrels a day by the end of next year. “In terms of Syria being finished, we’ve proved otherwise,” says Mahdi Sajjad, Gulfsands’ co-founder and general manager. Gulfsands bet big on Syria when most other companies shied away. The company made its Khurbet East find in 2007. That year, it entered a strategic partnership with Cham Holding, controlled by tycoon Rami Makhlouf, a cousin of Syrian President Bashar Assad and a target of recent U.S. sanctions. In November 2008, Gulfsands made a second discovery in the northeast. Executives say they believe that find could hold commercially extractable reserves of 12 million barrels. Syria needs the foreign know-how. Oil accounted for 17% of government revenue in 2007, according to the International Monetary Fund. But short-term Syrian forecasts predict steep declines — as much as 25,000 barrels a day of lost production each year — if new fields aren’t found or extraction technology isn’t improved. Since 2000, Damascus has opened up swathes of the country to exploration by foreigners, and Chinese, Indian and Russian companies have entered the market. The state Syrian Petroleum Co. has a longstanding joint venture with a unit of Royal Dutch Shell PLC, India’s Oil & Natural Gas Corp. and China National Petroleum Co.
U.S. economic sanctions, imposed in recent years because of Syria’s support of militant groups Hezbollah and Hamas, impede any meaningful oil-industry work by U.S. companies. This summer, however, the Obama administration said it would make it easier for Syria to import items such as aircraft parts and other technology. Washington also has agreed to reinstate its U.S. ambassador. Meanwhile, European nations, including France, have warmed to Damascus after Syria appeared to support political détente among Lebanon’s squabbling factions. Wael Tabbaa, chairman of Petro Services, a privately run Syrian oil-services company, says Western companies could be drawn into Syria if sanctions are eased. “There are still 400,000 barrels per day, and that’s still a lot of work,” Mr. Tabbaa said. Damascus – Syria’s Supreme State Security Court on Sunday sentenced a blogger to three years in prison on charges of “spreading false news,” a Syrian human rights organisation reported. The court found that Karim Arabji, a 31-year-old business consultant, was guilty of “spreading false or exaggerated news that could harm the morale of the country,” in connection with remarks posted by users of a website he edited, the Syrian Observatory for Human Rights said. Officers from Syria’s military intelligence service arrested Karim Arabji in June 2007. He has been in detention since then. There is alot more, much more, about what ahappened and what is yet to happened, which is why the 911 was the start not the end. But that is for members to know only, will not say anything and will not give anyone a clue. Not trying to be offensive but I felt that the president is stiff, theorizer opinionated in an interview where he should only bring his country’s position on the issues, but this the usual wrong way done for 40 years, especially when decisions are held in view hands, But most importantly heard him telling a lot of false news in this post and the previous post regarding history, kurds and MB. Those issues were never solved and they are hanging on the heads of the system and the people. The hard part to sallow is why they are after the democratic peaceful segment of the society and releasing the leach on the religious elements, what vision they have; this is not good new for the future of Syria. They are building distorted humans in their society to let the nation at large accept that if you talked and expressed your thoughts and feeling you have to spend time. Sending blogger Kareem Arbaji for 3 years in prison accusing him of spreading false news is unbearable news from a country we wish to see it moving gradually for more open dialogue to vent the pressure building in the whole area against all despotic regimes. Can you be more specific? What exactly is the “Muslim Brotherhood Problem”, and how is the Muslim Brotherhood Problem different from Syria’s support for all the other muslim extremist groups? Can’t President Assad persuade the Muslim Brotherhood to lob missiles into the Zionist environment for a small/large fee? Or is President Assad cash-poor? This information (link below) may surpass your blog link in terms of accuracy. Enjoy it, hopefully Mr. Landis can stand the heat and hold his ground on keeping these links posted. At least sometime he can show dignity and journalistic integrity on his blog. After all, he is the one introduced Mohammad Atta op-ed to Syriacomment. Atta’s father, unluckily for the conspiracy theorists, boasted of his son’s actions. As a Ron Paul voter, I opposed the past decades of pro-Israel US intervention, but find no need to distort the essentials. These great buildings in the richest part and aristocratic part of old aleppo in which were concentrated the most wonderful houses and serails of the city were replaced by the ugliest and the cheapest buildings in the 80’s and these baathi era dirty buildings are already in dilapidation. Damascus also suffered the same kind of destruction of its urban historic fabric around 30% for each cities,this is in addition of the cultural genocide in old Hama as the human disaster was not enough to ease the deep hatred of Hafez asad. Before it becomes too late,Bashar must apologize . They are a failure in all fields. The Aleppine room which is today in Berlin Museum.It comes from 17th century(1600?) house of one of the richest christian families of Aleppo and which had been decorated by a persian artist. How much of such wonder of the world were destroyed by Asad that make so happy and important the museum of Berlin?100’s….. The white House took the best decision by cutting funds of such failure project and fading start of Mr. Abd Alhameed, its founder, because they are not working on any improvement at all, they don’t even know a solution for any of the cases they are talking about, yet they keep using the same unethical technique of saying that they expose the regime and blame it for everything wrong in Syria while they can do real work and true improvement instead of this cheap reports. In my humble opinion this is the most important piece of legislation happened in Syria since the independence, I’m talking about the ‘property act’ that just get legalized and waiting to be implemented and that poor people ‘Tharwa’ report unprofessionally exposed should be encouraged to go through this process. If Tharwa truly want to do the right thing they must jump into the process and have some kind of programmes to help the same people they use and exposed to get the credits and get legalized for a better future of Syria. The bottom line is that Kurds leaders are DUMB, STUPID and have NO VISION whatsoever of what they truly want, in those countless reports Tharwa represent they keep showing Kurdistan flag and all political party flags in their demonstration, ironically, asking to be treated as Syrian, well if you want to be Syrian at least raise ONE Syrian flag. Beside for the reporter to call the Kurd demonstration an “uprise” Intifada if they are under occupation is another cheap shot and won’t get them any support from any Syrian whatever his backgrounds might be. For me the Kurdish issue MUST be solved and they must get the rights of any Syrian and I have no doubt that they will but they have to play smart and at least pretend that they are interested to live in a country called Syria not call for a separated state of Kurdistan. a- How come an ex Syrian parliamentary member didn’t’ raise this issue in the parliament when he was a member and a representative of the Syrian Kurds he claims he cares about? Do they think people are ignorant or stupid to buy into this charade? b- Any one being on the position of that military guy in the short film surrounded by thousands of angry men will react the same way he did, he may not be a regime defender or Kurds hater as they portray him its a human instinct and any one of us here will react the same. Why not Tharwa instead of taking pictures and asking people to take a‘secretive’ videos and pretend that they smuggle it as if we are North Korea go and build a school, a clinic, a pharmacy, build a farm, drought, well have a solar energy hub or wind turbines, develop the social system and the community through the government system. There are millions ways to help if you truly want but if you don’t then we will keep getting those cheap meaningless reports and this Tharwa will always be failure at least for me.. This may be one reason Ron Paul did so poorly in the polls. That, and the fact that he’s a 9-11 truther certainly didn’t help. involving elements of the US government and Mossad more plausible.